How to Find a Debt Consolidation Company You Can Trust? 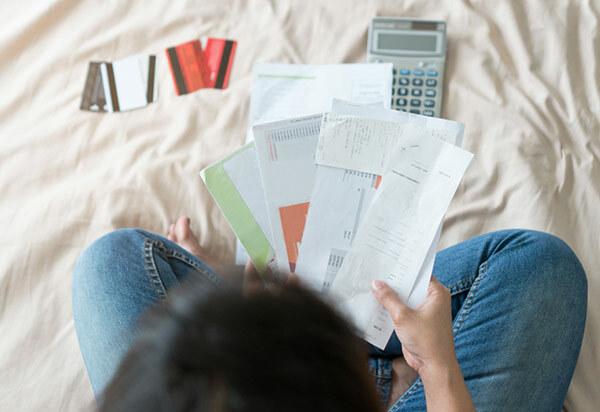 Debt consolidation has become popular in recent years, offering borrowers the chance to pay off debts to multiple lenders in a single monthly payment with a significantly lower interest rate. Choosing to consolidate your debts is just one half of the decision; the second part is finding a debt consolidation company you can trust. When borrowers research debt consolidation companies, the first things they look for are usually the length of the application process and the new single interest rate. These factors are obviously important, but one other thing not to overlook is trustworthiness: the debt consolidation market is full of many trustworthy companies, but unfortunately there are also many scam artists. What types of scams are we talking about? One common scam involves asking the customer to make an up-front payment and stop paying off their old loans – but the scam artist never delivers on their side of the supposed contract. This can cause the customer damage in more ways than one: they’re left out of pocket for the money they gave the scammer, and they end up defaulting on their old debts. Another well-known scam used by shady debt consolidation companies has involved claiming non-profit status and lying to customers about their services and fees. Again, this type of scam has left many customers in financial distress. There are a number of ways to tell if a debt consolidation company should be trusted or avoided. Debt consolidation involves transferring debts from multiple creditors into a single loan from a new creditor at a lower interest rate and lower monthly payments. Debt management. This involves negotiating a formal agreement with your creditors that makes it easier for you to pay off your debts. This could include extending the length of the loan and reducing monthly payments or introducing a lower interest rate. Debt settlement. A type of last-ditch option in which the creditor agrees to accept a portion of the outstanding debt if they see there is no possibility of the borrower paying in full. From the borrower’s perspective, this is only an option when it comes to unsecured loans such as credit cards where the creditor doesn’t have the power to seize the borrower’s assets. Whether you’re dealing with a debt consolidation company, a lender, or any other type of financial institution, one of the first things you should always do is check their accreditation. In the case of debt consolidation firms, the main things to look for are membership of either or both the following: the American Fair Credit Council (AFCC), the trade association representing the debt settlement industry and consumer credit advocates; and the International Association of Professional Debt Arbitrators (IAPDA). Trustworthy debt consolidation companies typically display their certifications clearly on their website (usually toward the bottom of the homepage). If you spend more than a few seconds trying to find a company’s certifications on its homepage, this could be a sign that something is being hidden. Other certifications to look out for: National Foundation for Credit Counseling, Online Lenders Alliance (OLA), Consumer Affairs Accredited, and ratings from organizations like the AAACreditGuide. The Better Business Bureau (BBB) is an organization that rates and certifies businesses around the U.S. and Canada for adhering to the BBB Code of Business Practices. There are 2 ways to see how a debt consolidation company is rated by BBB: one is by searching the company name on the BBB website; the other is by checking the company website for the BBB logo. Anything less than an A+, A, or A- rating should be cause for concern. Some states require debt collectors to be licensed, while others require them to file notification with the state attorney general and pay an annual fee. The simplest way to find out if a debt consolidation firm is licensed in your state is to check the small print at the bottom of its home page or to read its terms of service. Most top debt consolidation companies are licensed to practice in multiple states. If you’re unsure about a smaller debt collection firm, one way to be 100% sure is to check with your state attorney general’s office. If you’re planning to consolidate mortgage debt, then it’s important to make sure that your chosen debt consolidation firm has been approved by the Federal Housing Administration’s Department of Housing and Urban Development (HUD) to provide debt counseling and housing counseling. A full list of approved housing counseling agencies can be found on the HUD website. Each debt consolidation firm should also disclose on its website if its HUD-approved. Debt counseling should be free, whether it is provided by non-profits such as the National Foundation for Credit Counseling (NFCC) or by a HUD-certified counselor you’ve been referred to by one of the large debt consolidation firms. As with a new mortgage, credit card, personal loan, or any other type of debt, the fees for debt consolidation should be reasonable. A glance at the top debt consolidation companies reveals that most either don’t charge any extra fees or that they charge small monthly fees in return for a slightly lower interest rate. Whether a company promises no fees or low fees, the same rule applies: they should always disclose all fees before asking you to sign anything or transfer any money to them. The leading debt counseling companies offer personal credit counseling from HUD-approved counselors at no extra cost. Your credit counselor should help you learn and understand how to manage your debt and personal finances and how to avoid debt in future. Counselors are there to guide you, but as with any financial decision, the customer is best served by trusting their instincts. If you have a good feeling or a bad feeling about a particular counselor or debt consolidation company, there is probably good reason: trust yourself and your instincts about debt collectors and make sure to choose one that leaves you feeling that you can trust them. If you find yourself paying off different types of debt to multiple lenders at interest rates that seem way too high, then debt consolidation can be a great solution. Debt consolidation is supposed to help you, not hurt you. By dedicating a little time to properly researching and checking your chosen debt consolidation firm’s trustworthiness, you can give yourself extra peace of mind.